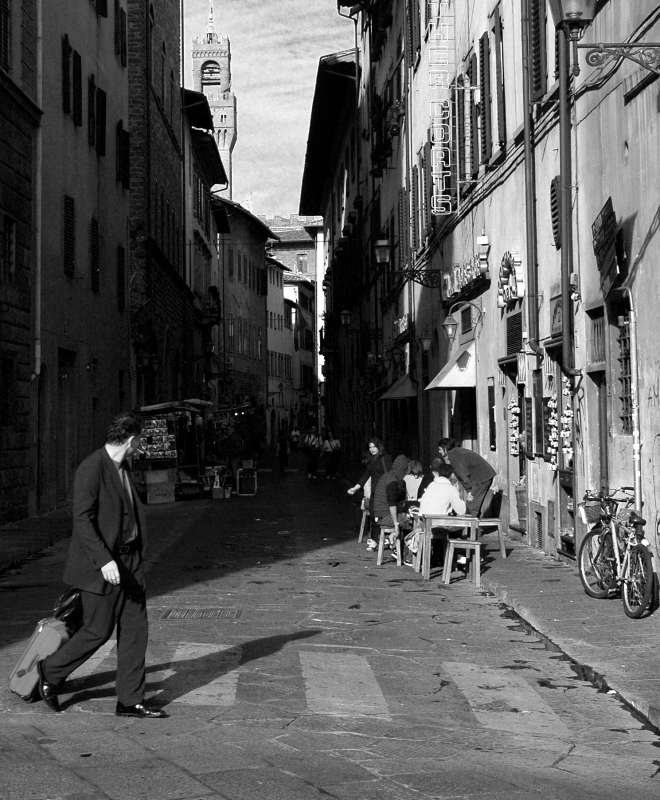 While shooting street scenes in Florence,Italy, I spotted a gentleman with a red suitcase walking across the street and shot this photograph just as the women in the alley was signing him to take a look at her. I had not realized at the time, that I had captured their glance at the precise moment their eyes locked together. A brief romantic moment.